More than 50 kids from Kahului Elementary School attended the School’s Day at the SportMaster Tennis Championships of Maui taking place this week at the Royal Lahaina Tennis Ranch. 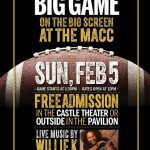 The School’s Day included a meet and greet with the pros and an opportunity for students to watch the live action on stadium court. The student visit was organized in an effort to further tennis in physical education classes state-wide. 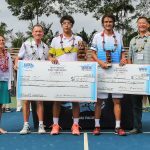 The SportMaster Tennis Championships of Maui is Hawaiʻi’s only men’s professional tennis event. 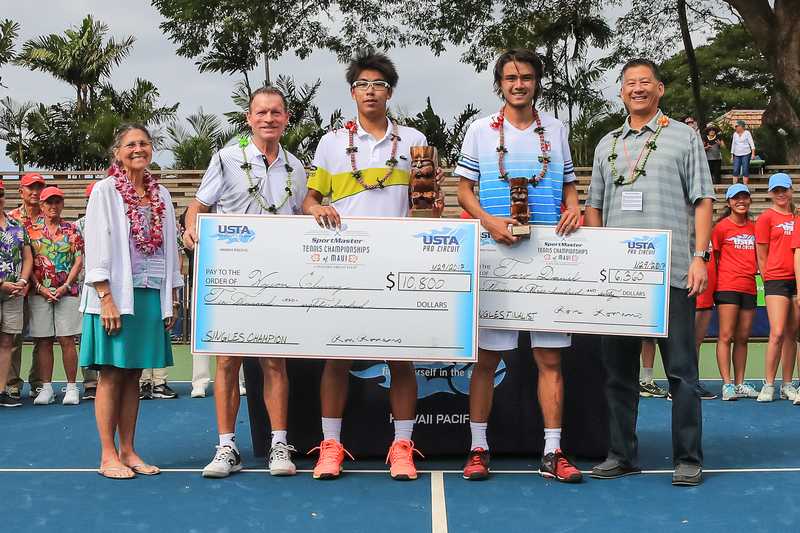 The USTA Pro Circuit event hosts players from over 20 different countries who compete for $75,000 in cash prizes. The TCOM will host a nighttime match this evening at 6 p.m. as well as the finals weekend starting on Saturday at 10 a.m. and Sunday at 10 a.m. 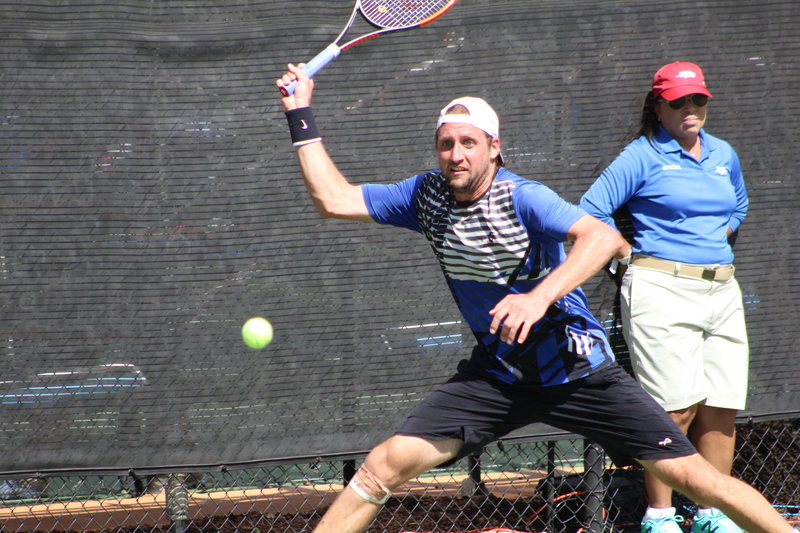 It was a slugfest on Thursday morning between fellow Americans Tennys Sandgren and Bradley Klahn. Klahn, a former top 60 player, seemed to have his way in the first set against Sandgren and took the set 6-3. Sandgren knew that he had to adjust his style in the second set noting his decision to serve and volley more which won him the second set 6-3. Sandgren hit 10 aces in the match. His serves held him up all the way until he was broken to go down 3-5 in the third. Sandgren fought back to break Klahn to get back on serve. The two held serve to get to a third-set tiebreaker. 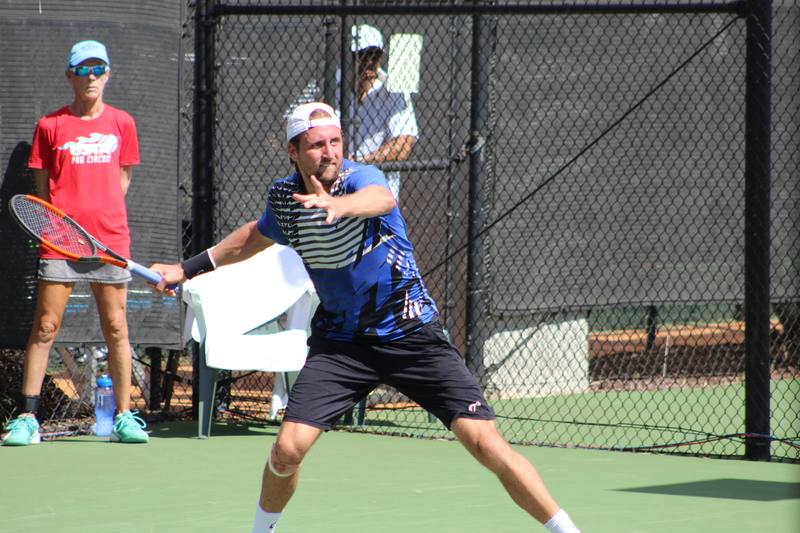 Sandgren fought off three of Klahn’s match points and sealed the deal 3-6,6- 3,7-6(9). 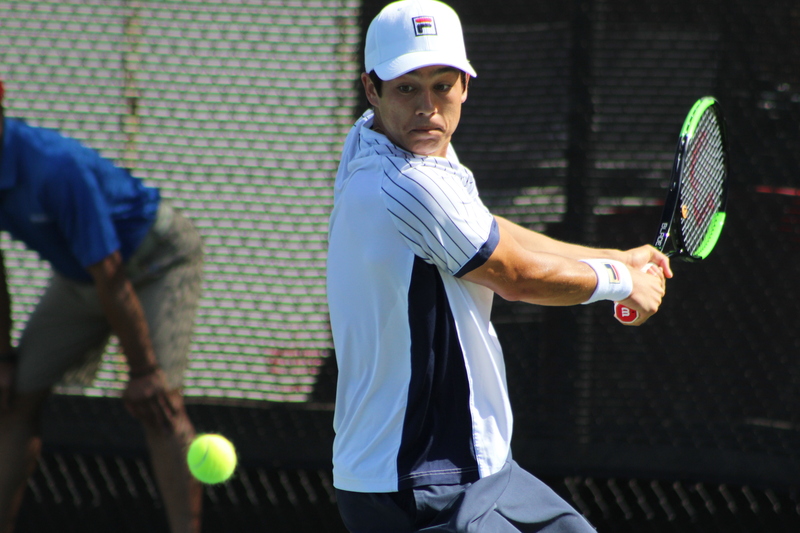 Mitchell Kreuger (USA) also had a solid win on Thursday over Japan’s Go Soeda 6-2, 3-6, 6-3. 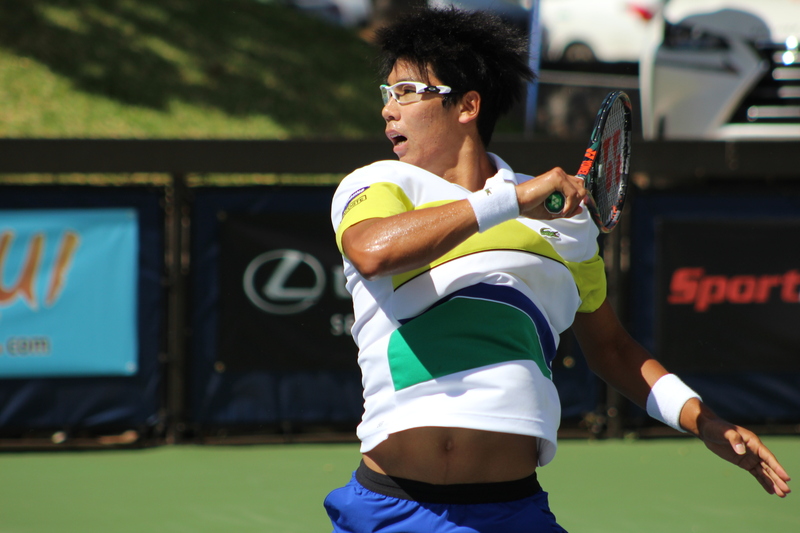 Kreuger is currently ranked 205 and Soeda holds a ranking of 139. 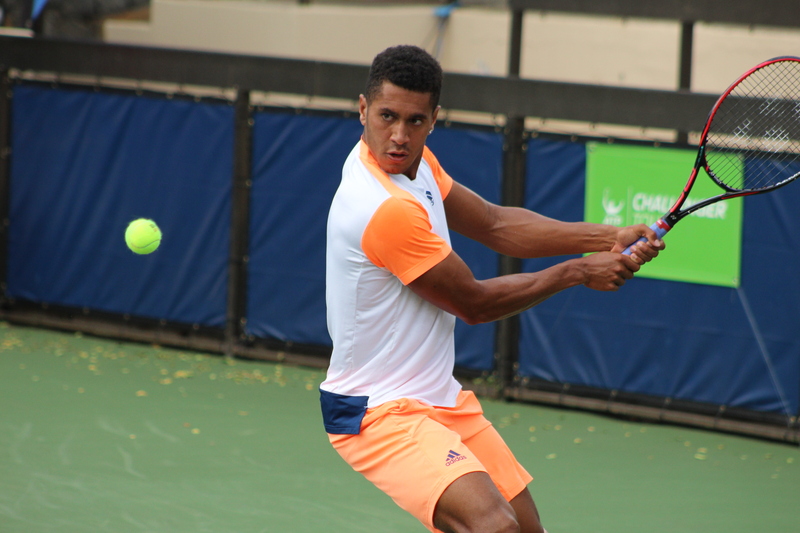 Michael Mmoh (USA) continues to power through the draw with a win over up and comer, Tommy Paul (USA) 6-1, 1-6, 6-2. 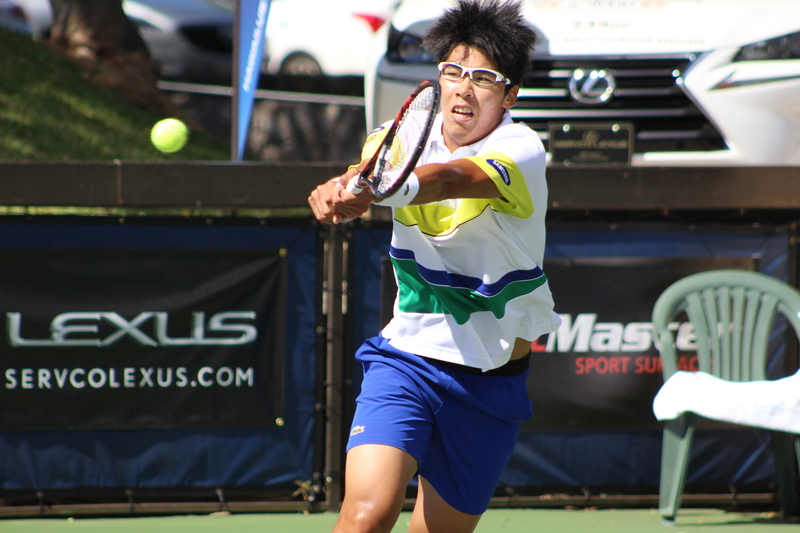 Second seed, Hyeon Chung (KOR), put on a clinic yesterday with American Mackenzie McDonald winning in under an hour, 6-2, 6-0. Singles quarterfinals matches started at 10 a.m. on Friday morning. Friday, Jan. 27, 2017. 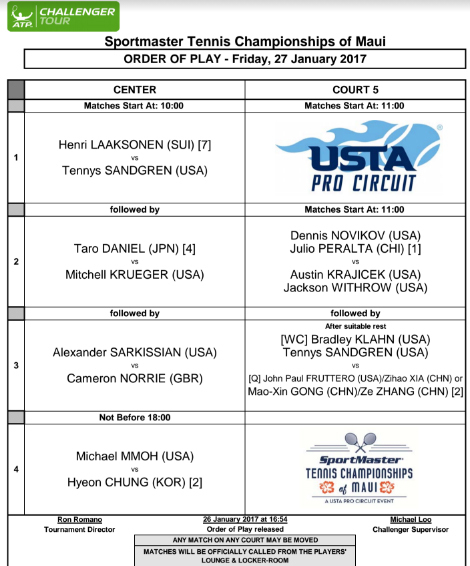 Order of Play.